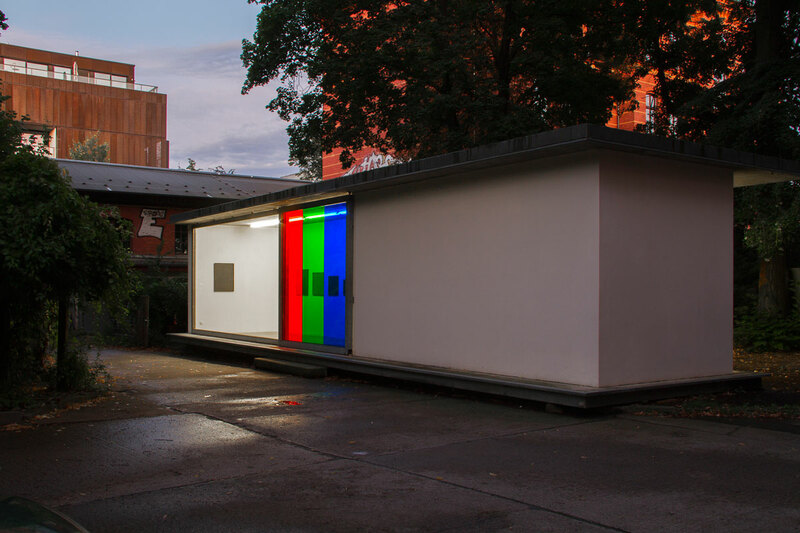 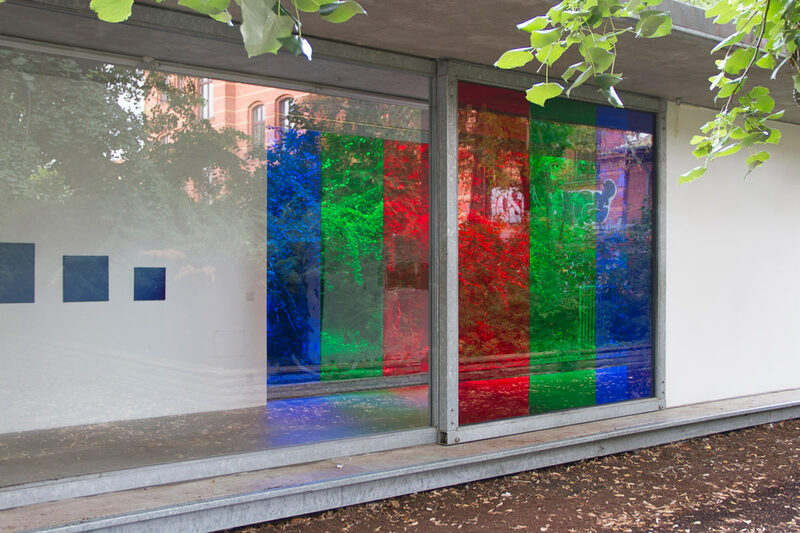 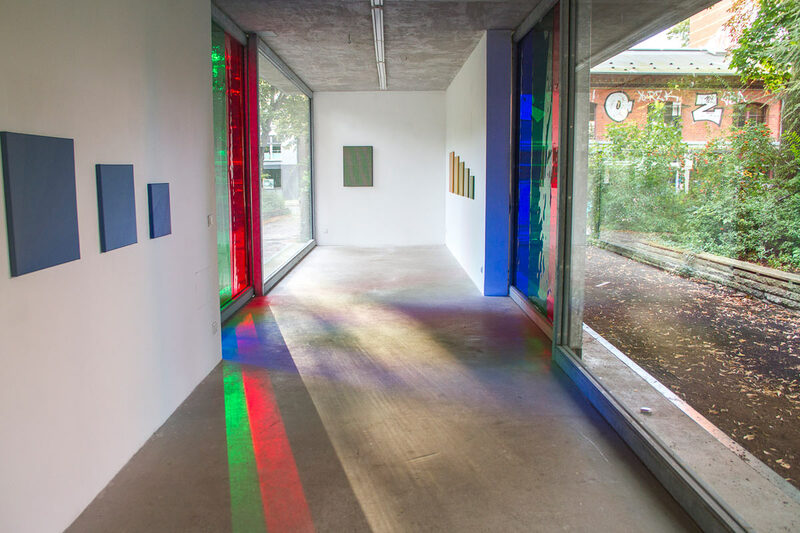 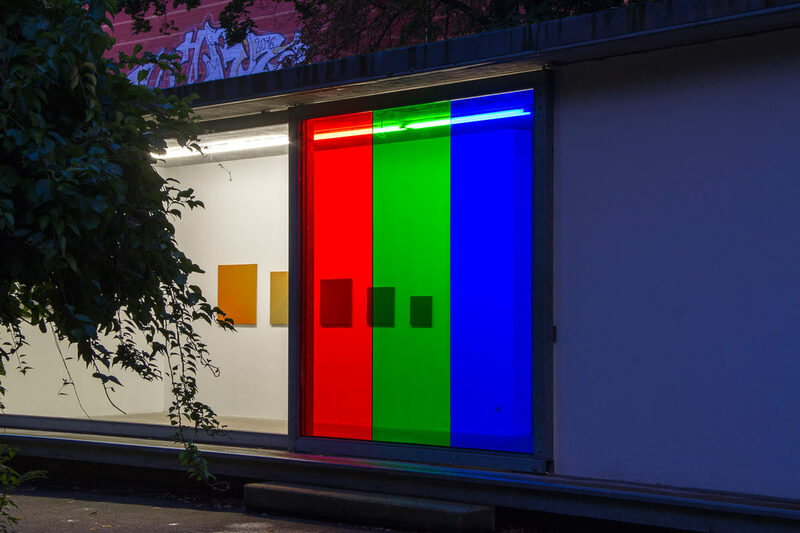 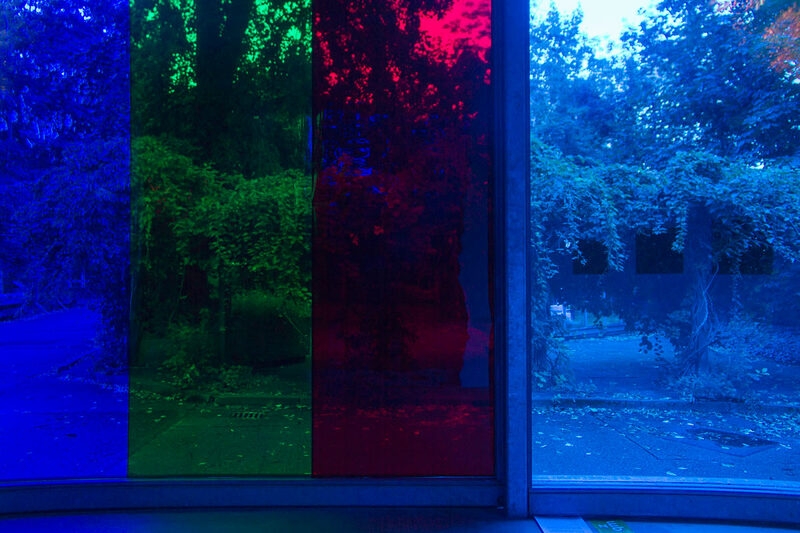 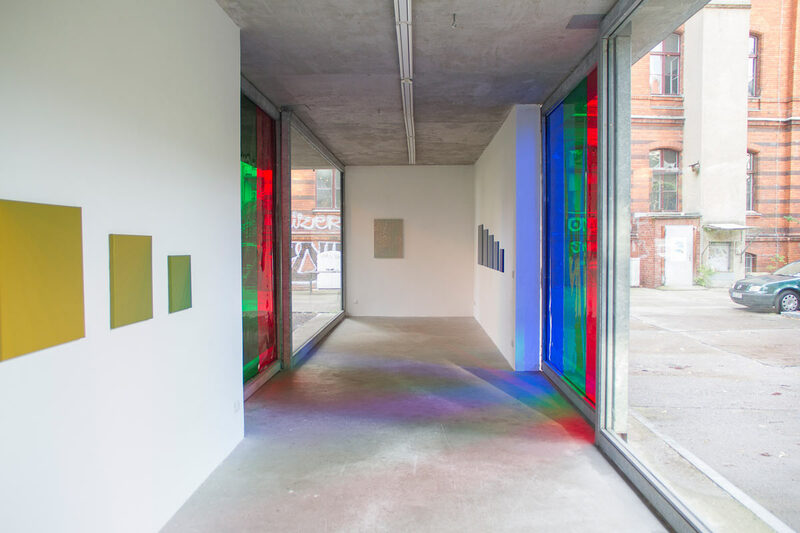 This site-specific intervention turned the window of the exhibition space of Pavillon am Milchhof into two augmented “pixels” by filtering the light of the ambiance through RGB colors. 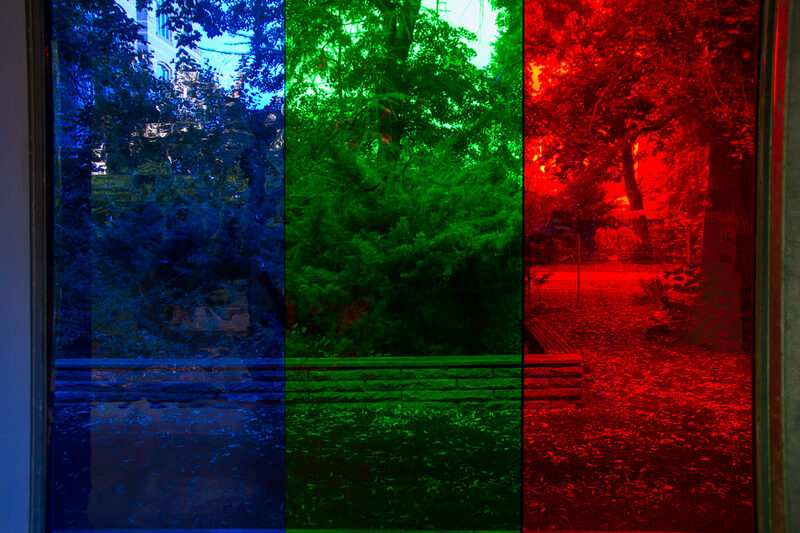 The observer is, therefore, able to look at the inside and the outside space filtered by these colors. 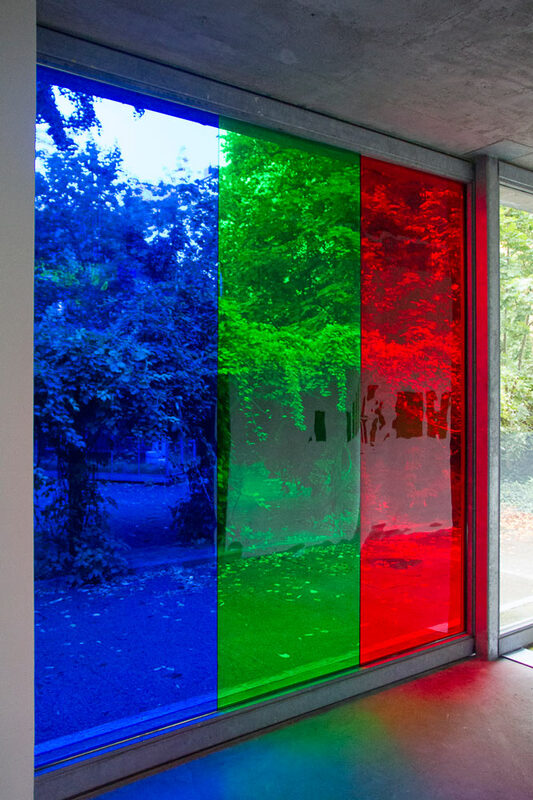 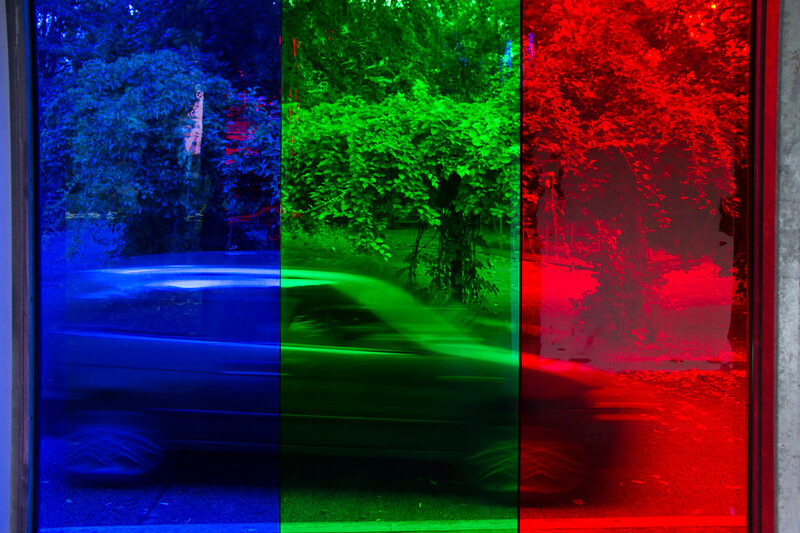 Red, green, and blue are the three colors constituting the pixels that structure digital screens; nowadays, the reality that, most the time, stands in front of our eyes. 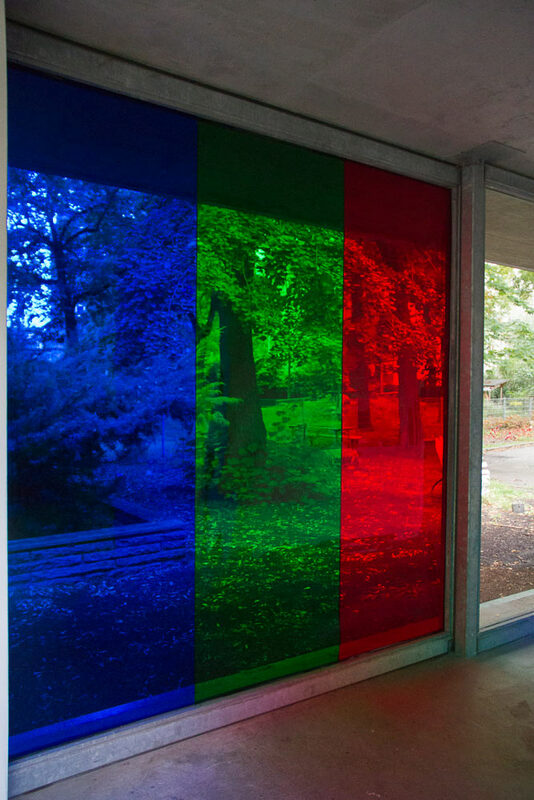 This functions as a representation of the filter of our perception, coming up through this ubiquitous contemporary form of communication. 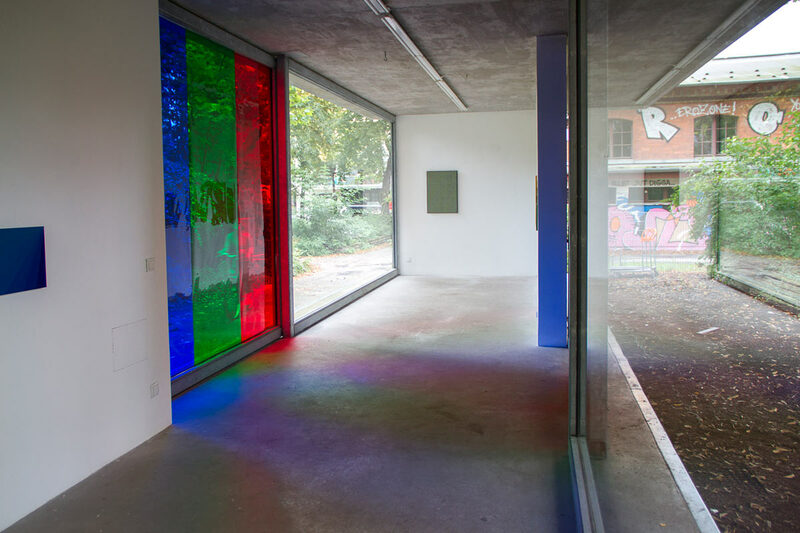 This installation was presented at "Different Similarities", a duo show hosted by Pavillon am Milchhof, Berlin, with Carla Bertone and Gonzalo Reyes Araos.